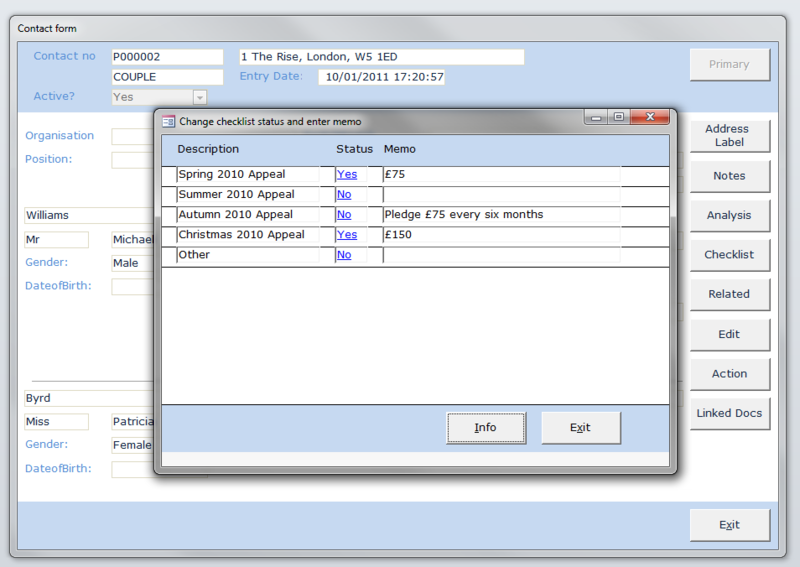 You can set up as many individual check-list lines as you want. For each check-list line you can record Yes/No, and a text memo. Check-list items can be used to maintain sublists and for management reporting. In the above example Ariel can be used to generate thank you letters for those who respond to an individual appeal.